Transport, Environment, Energy, Water in Asia > News > IDA: The new GIZ’s go-to platform for communication, collaboration, information and knowledge-management! 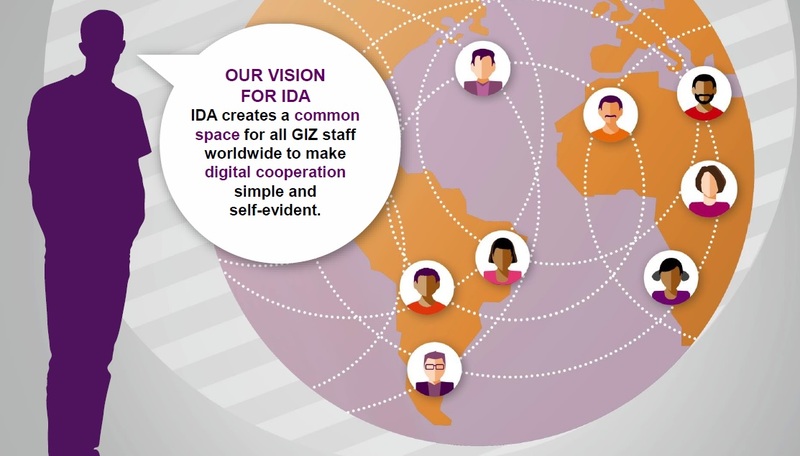 IDA: The new GIZ’s go-to platform for communication, collaboration, information and knowledge-management! IDA, which stands for Integrated Digital Applications, is GIZ’s newly introduced platform for an improved in-house communication, collaboration, information sharing and knowledge-management. In simple terms, it strives to make digital cooperation simple. If you haven’t started exploring the tool yet, we recommend that you do so promptly as we do not want you to miss out on its many attractive features. Click here to learn more about IDA specifically for our communities, or the general overview here. How can a mapping of SDG targets support and orient GIZ staff and partners in identifying potential risks and opportunities, read more here.